The dyeing bug has struck again, but this time with my newly aquired acid dyes! I received these for Christmas last year, but since I was only a couple of months pregnant I decided to hold off for a while. But now the time has come! 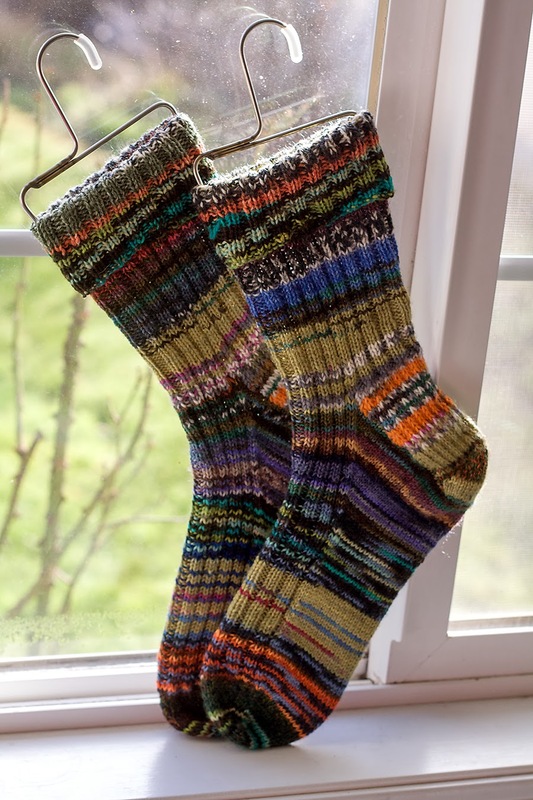 I've never dyed with acid-dyes before (only food-safe dyes), so I decided to play it safe and use some worsted weight Fisherman's Wool for my first attempt. I wanted a semi-solid purple. 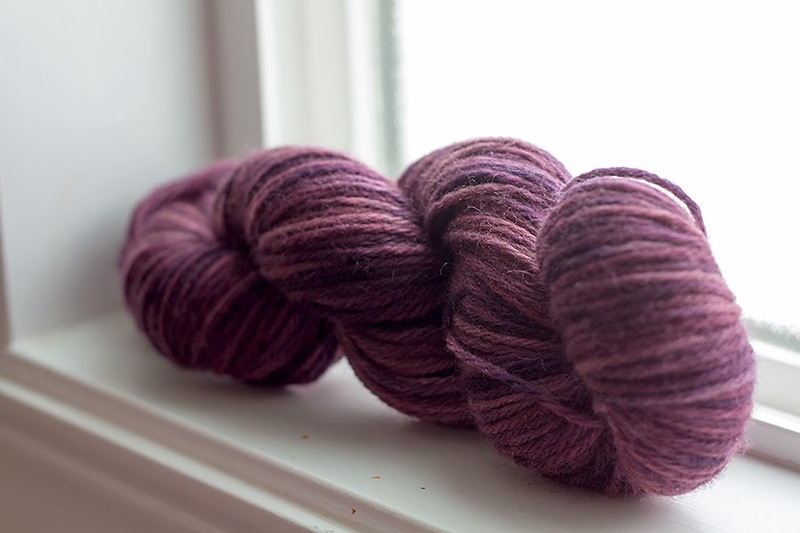 I skeined it up, and soaked it in some tepid vinegar water while I mixed up my dyes and heated the dyebath. 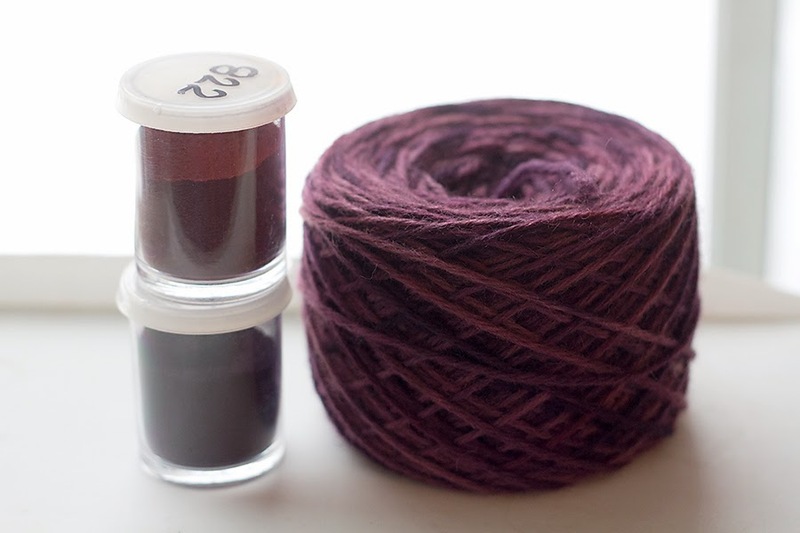 I chose two complementary purple dyes (Plum 822 and Lilac 845), and measured out 1/2 teaspoon of each dye into 1 cup boiling water for the dyestock. 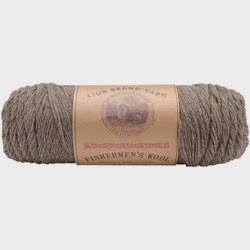 I used about 1/2 cup of the Plum first... and then added the yarn to the simmering bath. It soaked for about 20 minutes, and I then I turned the heat off and let it sit until the water was clear. 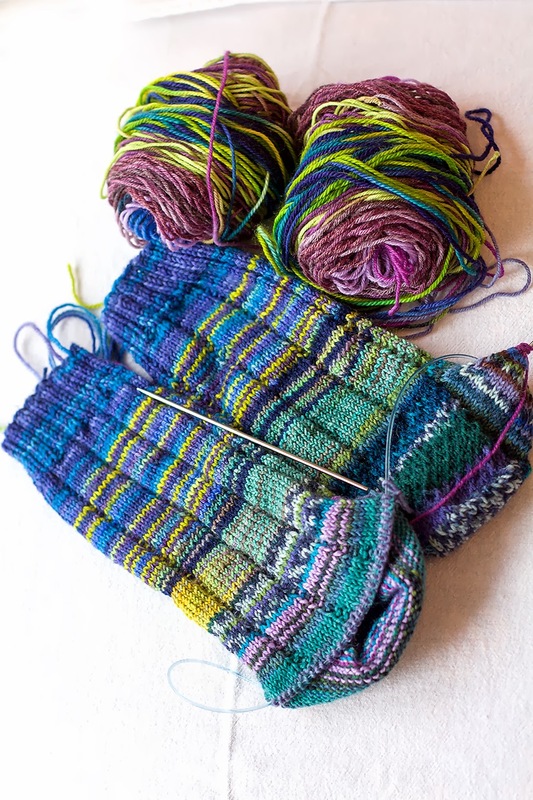 After rinsing the yarn, I carefully twisted the skein up and then added it back to the dyepot. I poured a little of the Lilac 845 dyestock directly onto the skein, and then added 1/2 cup to the simmering water in the pot. I let this simmer for about 20 minutes until the dye bath was once again clear. After cooling, the yarn was rinsed, spun dry in my salad spinner and hung to dry overnight. 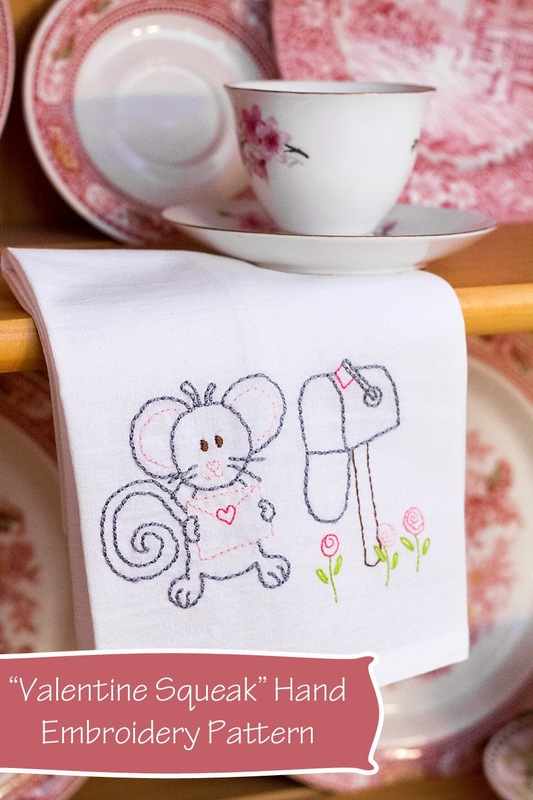 One of my favorite ways to brighten up my kitchen is to add a new towel to my rack - especially a hand-embroidered one! 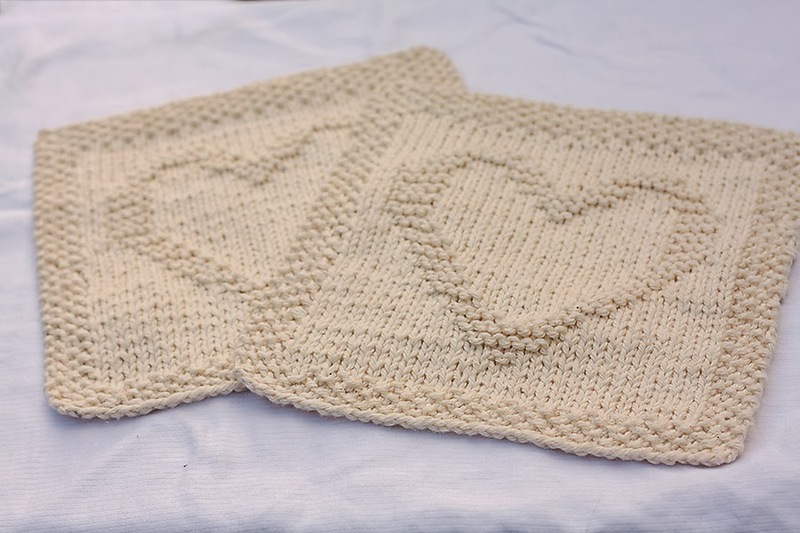 Dish towels make the perfect housewarming or wedding gift because they are so versatile and can be made to fit any kitchen. 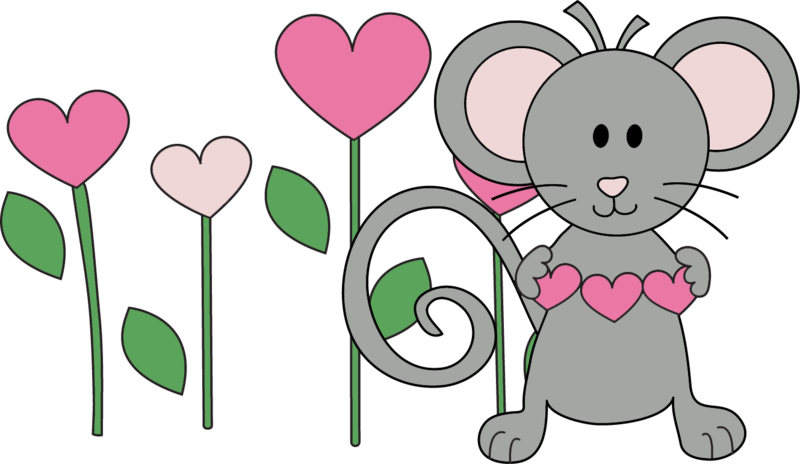 Best of all, the one I am sharing today whips up quickly; and what could be cuter than a sweet little mouse sending some love to his special "somebody"! 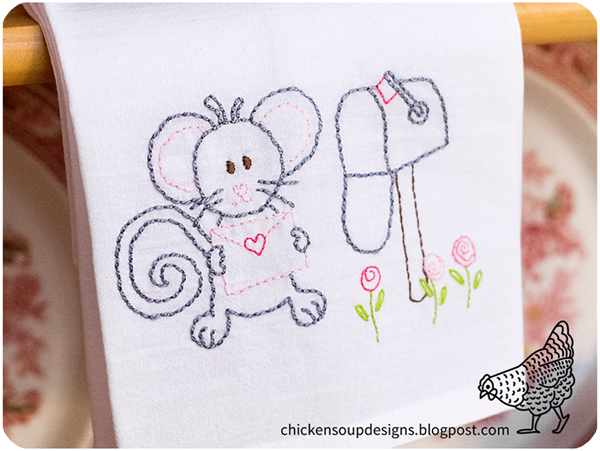 and lazy daisy stitch (sometimes called a "detached chain) for the flower leaves, and satin stitch for Mr. Squeak's eyes. And there you have it ... the perfect gift for your special somebody! 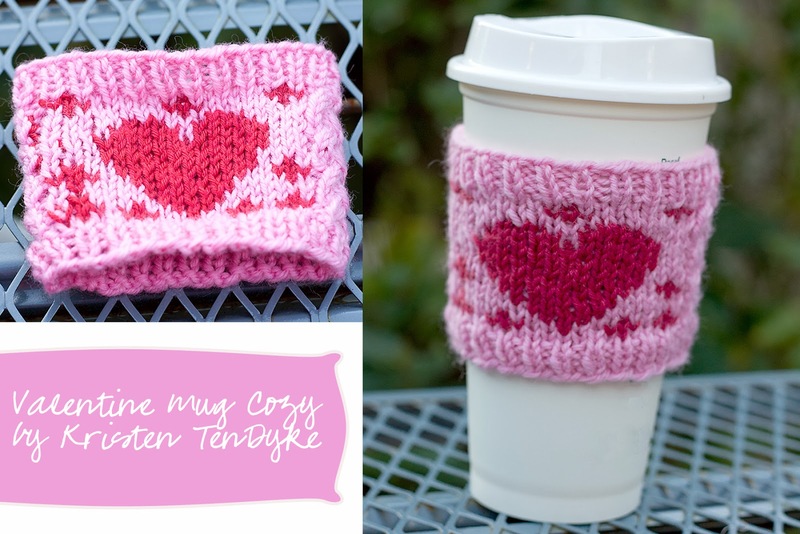 I adore Valentine's Day.... knitting, that is! 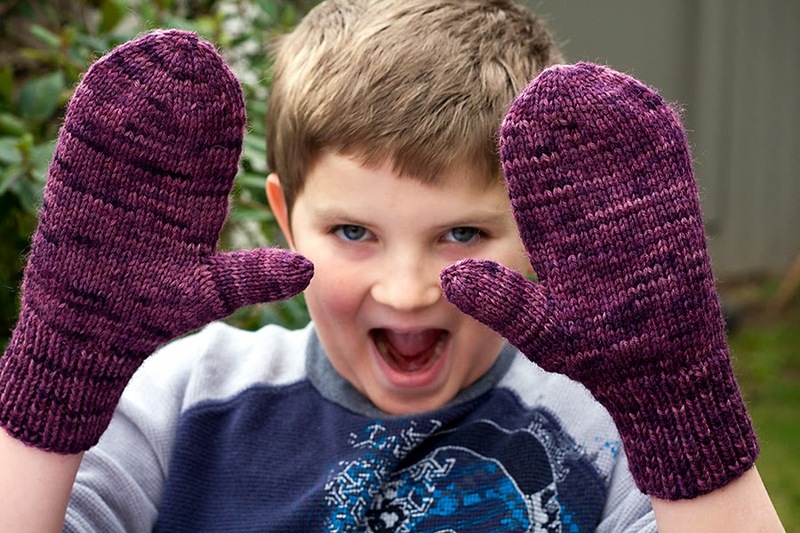 Every year, I tend to go a little overboard with my projects (and this year was certainly no exception). And who can blame me? Red & White, Pink & Red, Pink & White; they are all such great color combos. 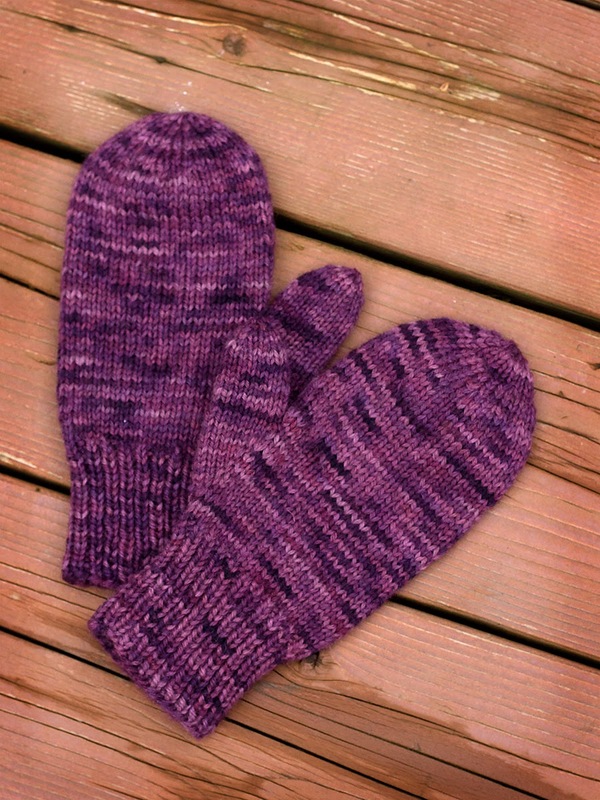 I cast on 54 stitches (2 sections of 19 for the colorwork hearts, and 2 sections of 8 for two cable portions), and I did three rows of k1p1 ribbing for the top and bottom parts. 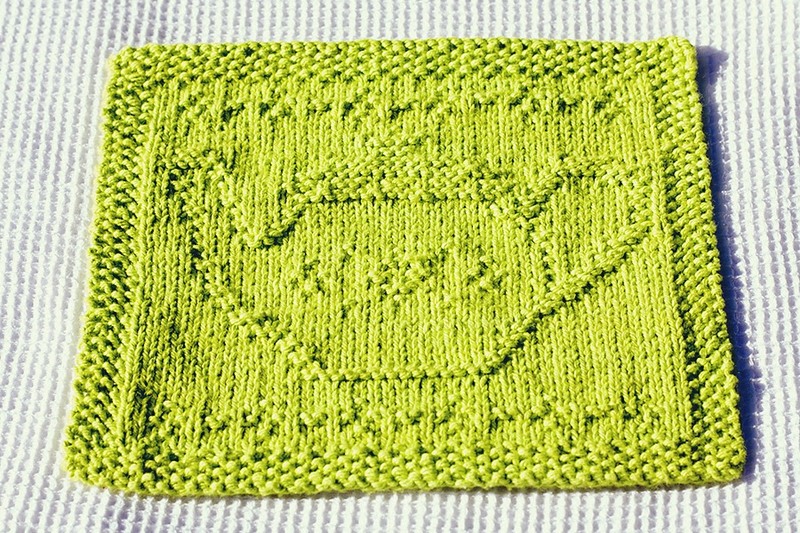 With a size 4 needle for me - perfect proportions for a travel mug cozy - in the round - so no need to do colorwork on the “WS” of the cozy, like with the flat version. 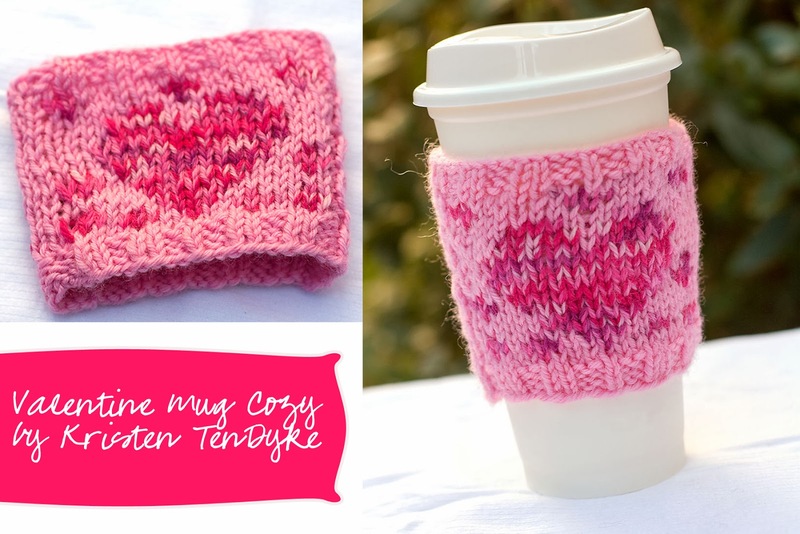 I also knit up this little cozy using the Java Love pattern by Diane Pearl Kostecki - so sweet! 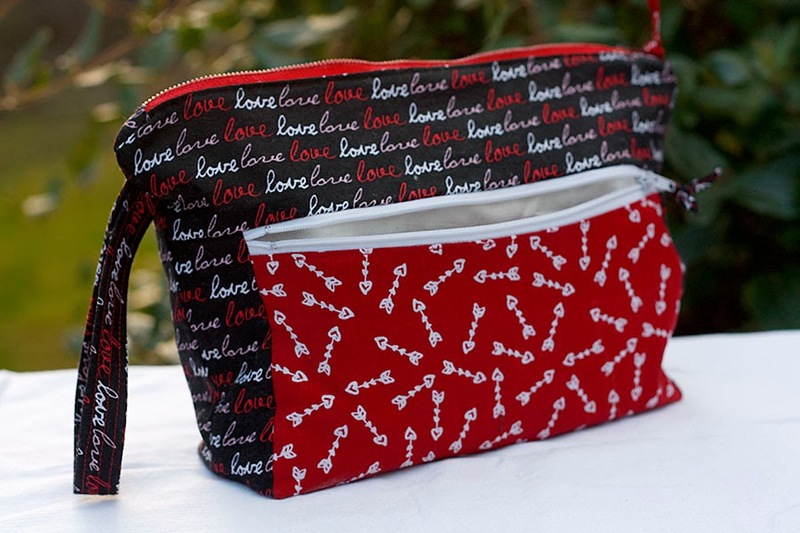 And then one of my own design - featuring an outer zippered pouch for notions, a squared off bottom for sitting upright, and a top zippered enclosure to keep your knitting safe and secure! 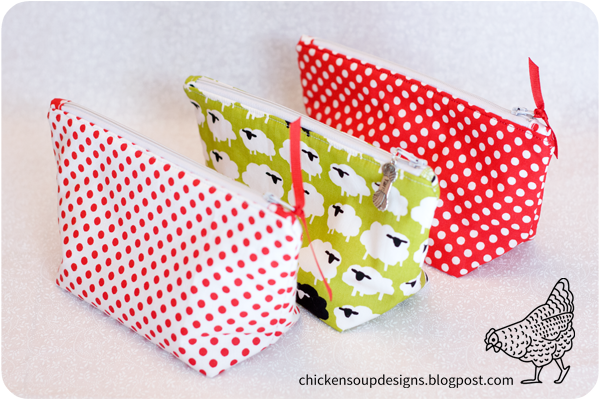 I also made some of these cute little lined zippered pouches, using the tutorial over at Jedi Craft Girl. 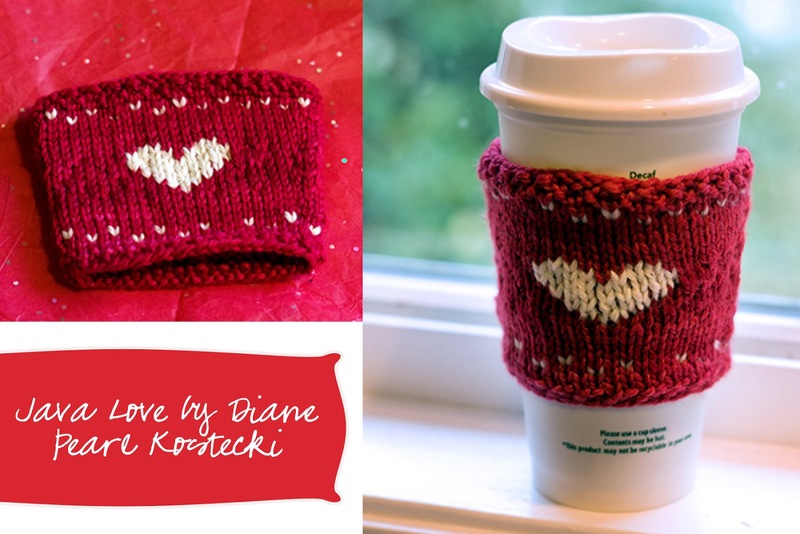 I hope this upcoming Valentine's Day inspires some sweet crafting of your own! 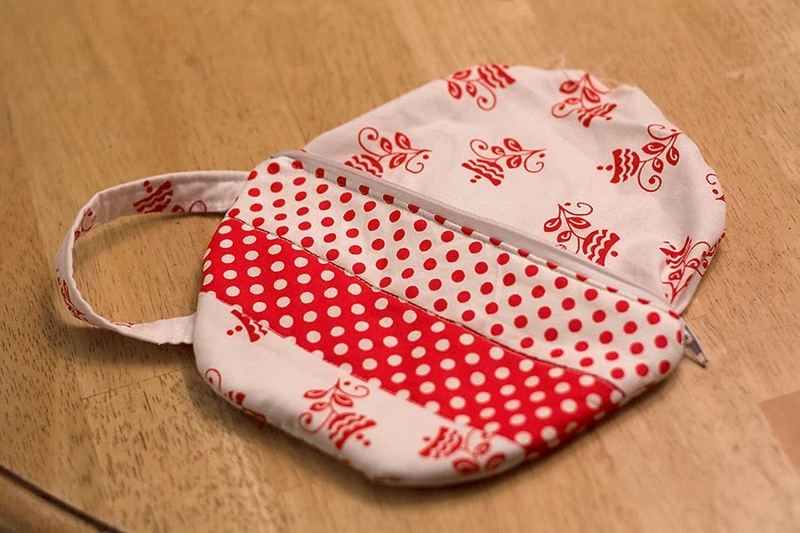 I've been sewing up some of these cute little teacup pouches, and I thought I would share a tutorial on how to make one of your own! 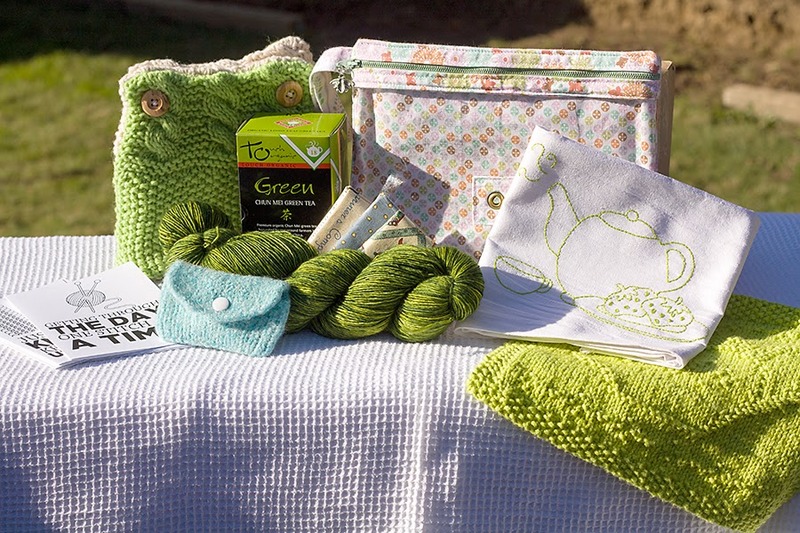 If you have ever made a lined, zippered pouch, then this will be a piece of cake. 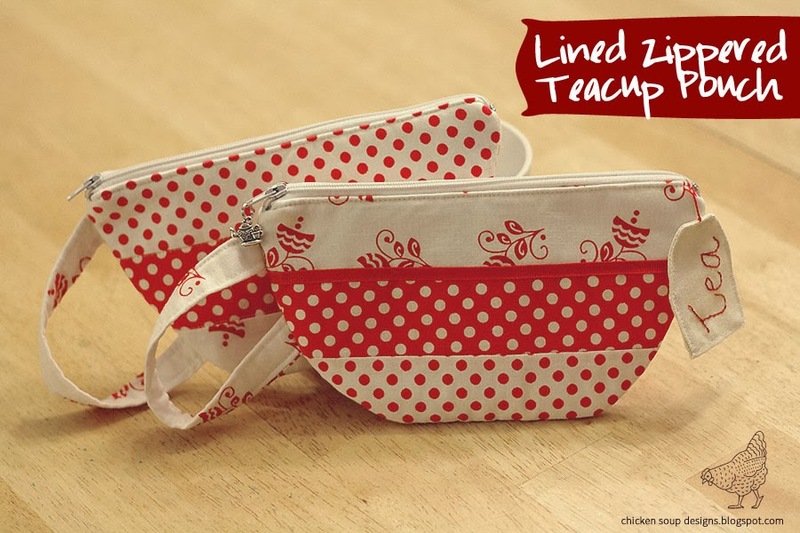 If you have never made a lined, zippered pouch... then I hope this will help! 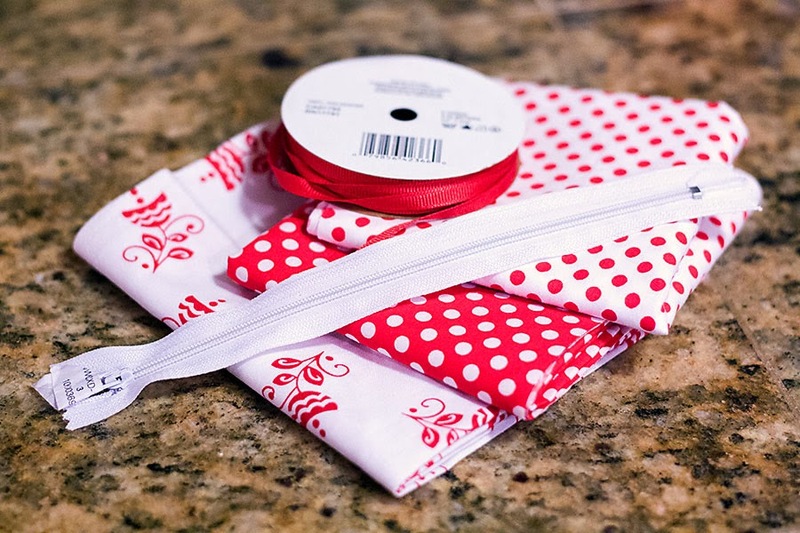 From each fat quarter, cut one strip 2” by 18” (3 strips total) and sew the strips together to make a piece that is approximately 5” by 18”. 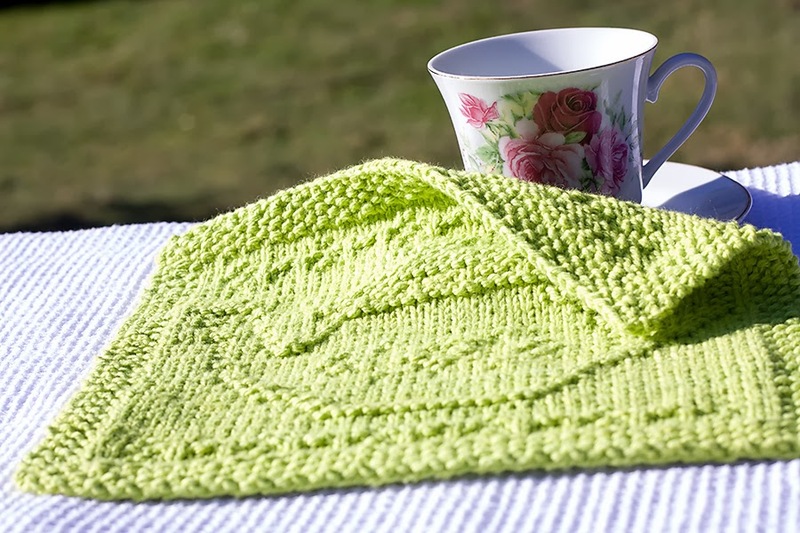 Fold this piece in half lengthwise, and cut out two tea cup bodies (for OUTER front and OUTER back). 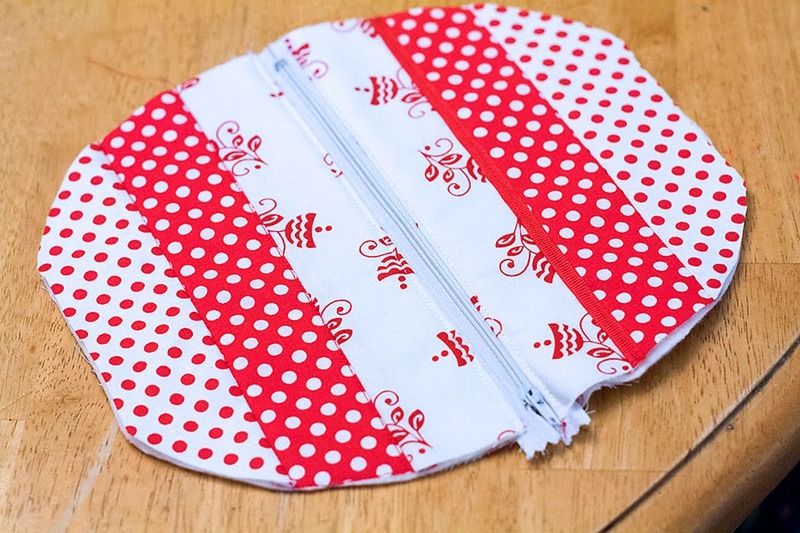 Choose one fat quarter to be the lining, and cut two more tea cup bodies to use as the inner lining (for INNER front and INNER back). 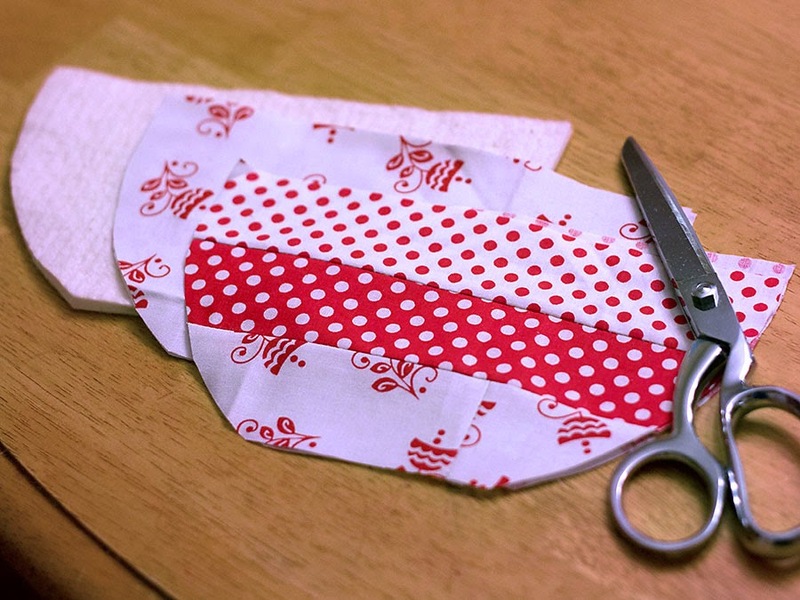 Using the handle pattern, cut one handle from your desired fabric. 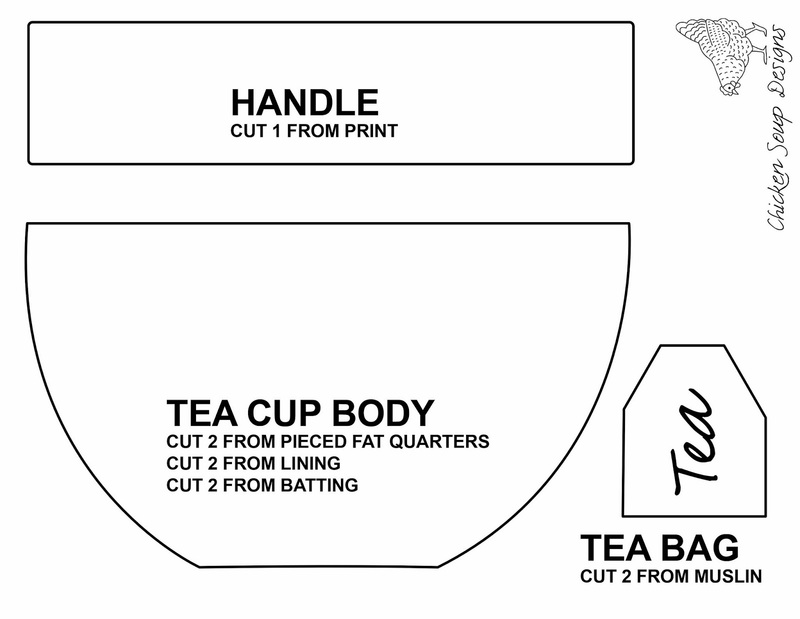 From the cotton batting, cut two tea cup bodies, and one strip that is ¾” by 8½” to pad the handle. 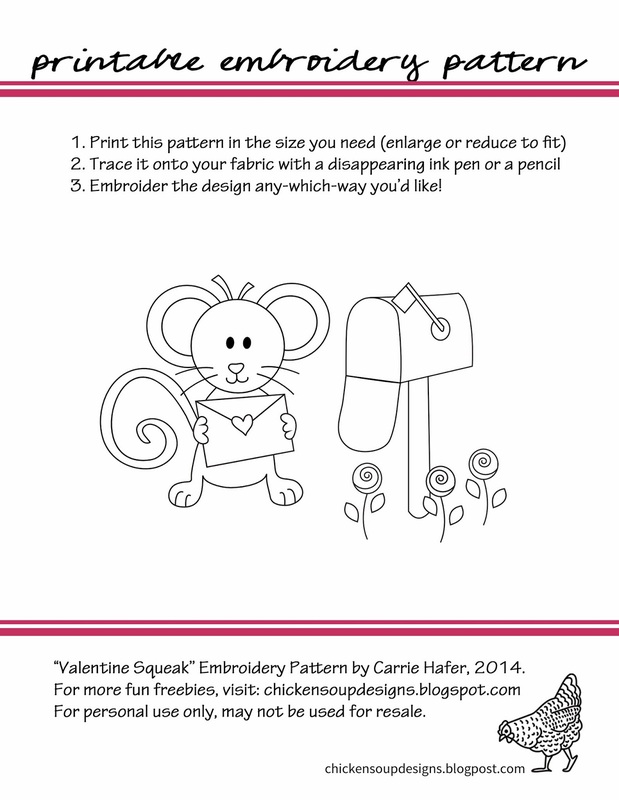 Place the front and back pieces onto the cotton batting pieces, and quilt as desired (i.e. stitch in the ditch between the 3 different fabrics). This is also a good time to add any desired embellishments (ribbon, trim, etc). 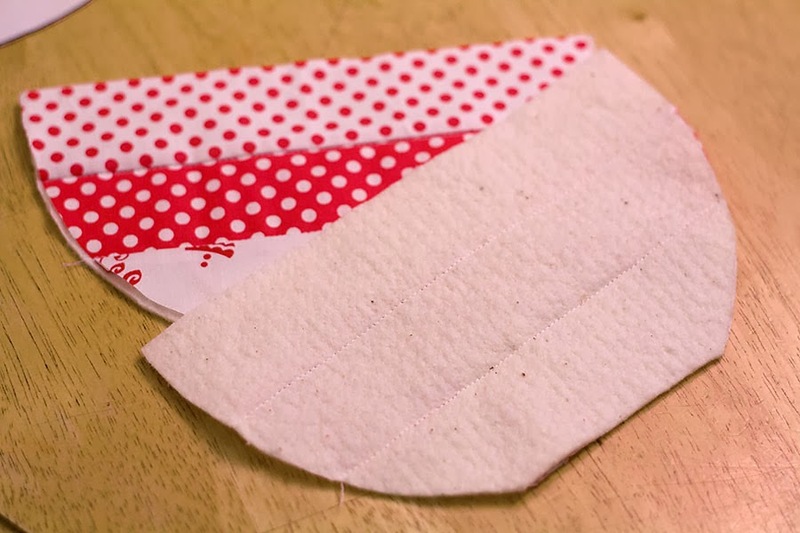 Fold the handle piece lengthwise, right sides together, and place the ¾” strip of cotton batting next to the fold. 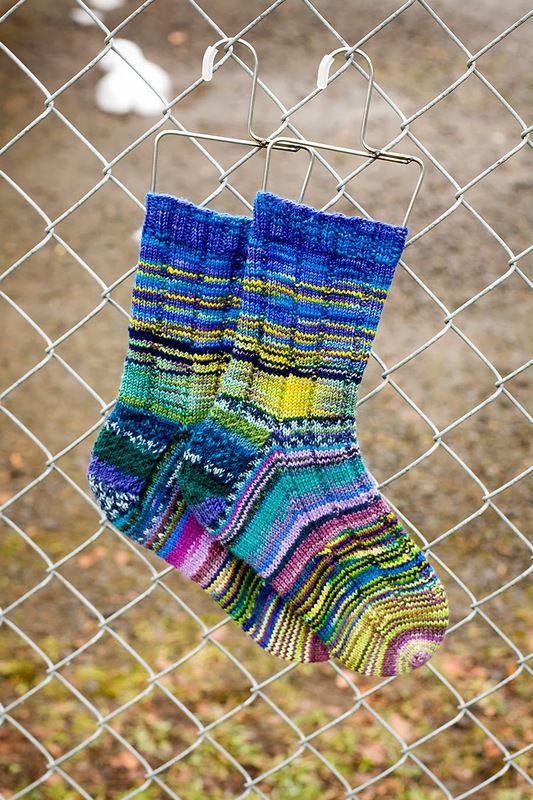 Stitch along the raw edges, leaving one end open. Turn right side out and press. Start by placing the OUTER front face up. 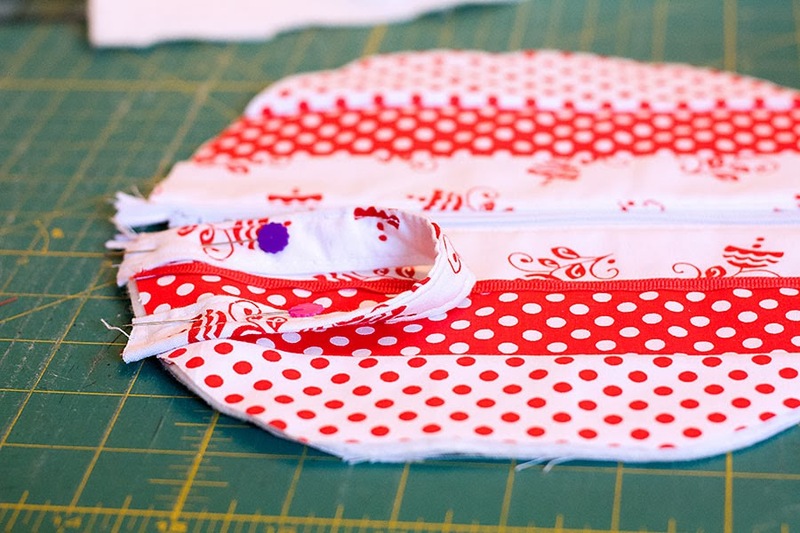 Then, along the upper width, place your zipper wrong size up and centered over the fabric. Now take one of the INNER lining pieces, and lay it on top of the zipper and outer fabric. All three pieces (outer fabric, zipper, lining fabric) should align at the very top. You can pin if you prefer. 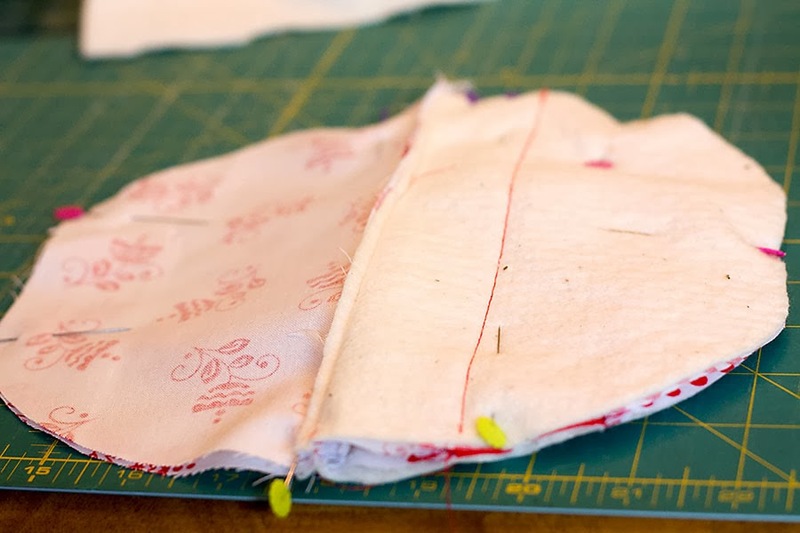 Sew the two fabric pieces to the zipper. Now, do the same process to the other side of the zipper. Place the zipper face down on the right side of the OUTER back fabric. Line up the edges. Layer the lining on top, right side down. 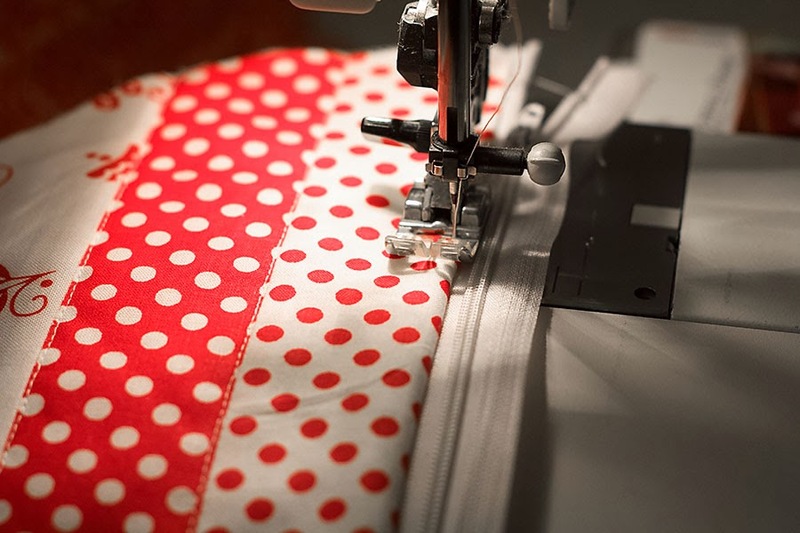 Pin, if desired, and sew the two fabric pieces to the zipper. Open it out flat, press, and top stitch about 1/8" next to both sides of the zipper. This will hold the fabric in place so that it won't catch in the zipper. Take the handle piece, and pin ONLY TO THE OUTER front face and NOT THE LINING. Baste in place. Unzip the zipper partway (This is a very important step! Otherwise, you won’t be able to turn your bag right side out after it is sewn shut). Pin the two lining pieces and the two outer pieces, right sides together (aligning seams, and pinching the zipper edges towards the lining). 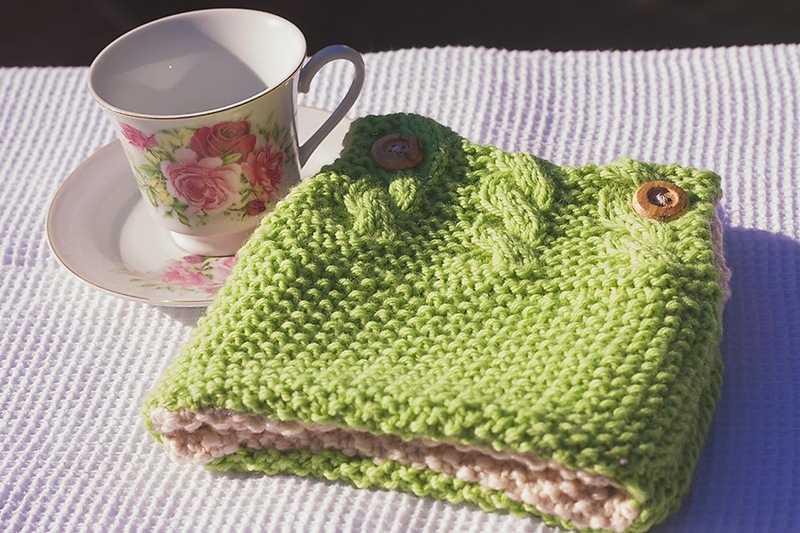 Sew, ¼” from the edge, making sure not to stitch through the zipper stops (which will break your needle), and leaving a hole for turning at the top of the lining (flat base of the teacup). Clip corners to help the bag lay flat, and turn right side out through the hole left in the lining. 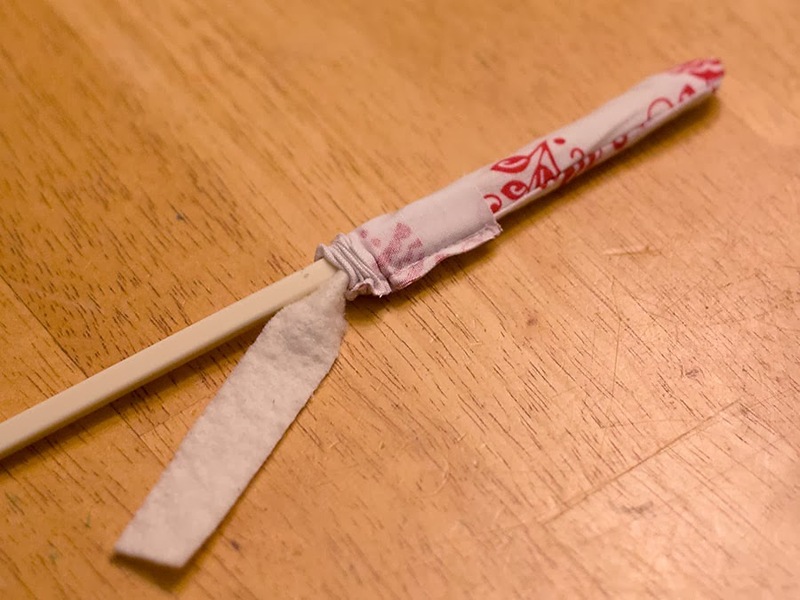 Use a chopstick or a blunt skewer to help push the corners out. Topstitch close to the edge of the lining to close the hole. 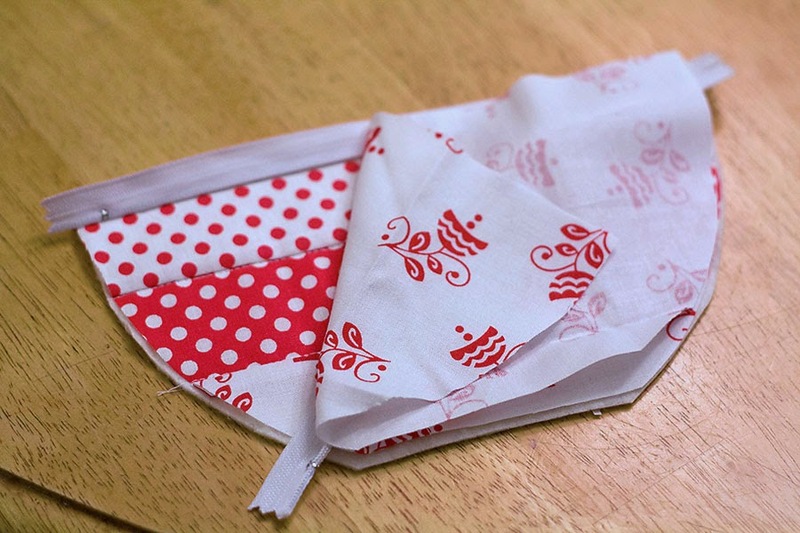 Using the tea bag template, cut two pieces from muslin, linen, felt etc. 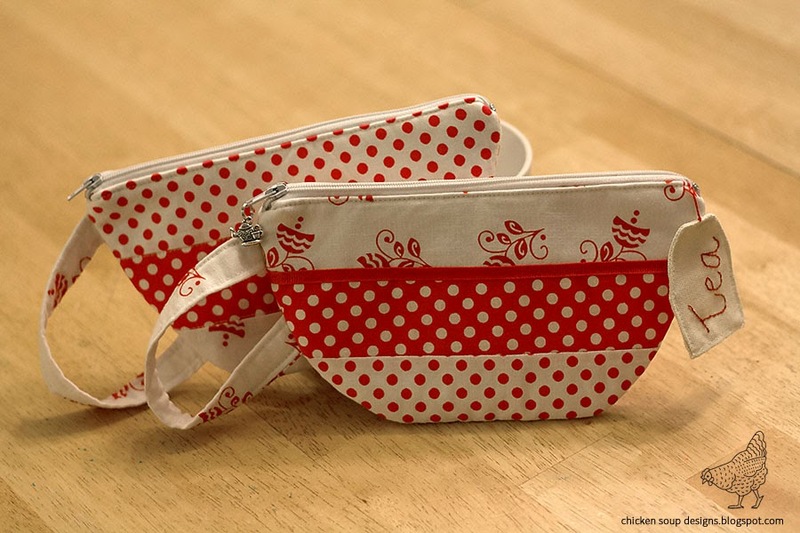 Sew these two pieces together with a scant ¼” seam, leaving a small hole for turning. Turn right side out through the hole, and then topstitch close to the edge all the way around the bag. 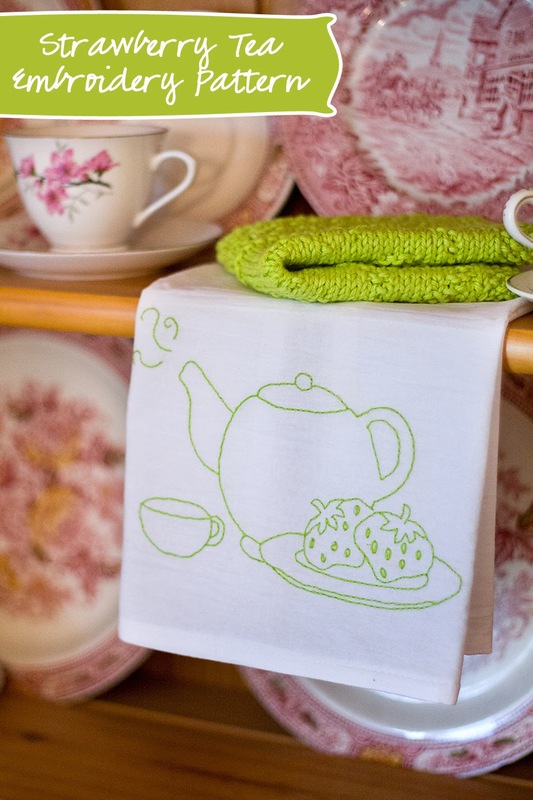 Embroider the word “TEA” on the bag, and then attach to the bag front with a small length of embroidery floss. 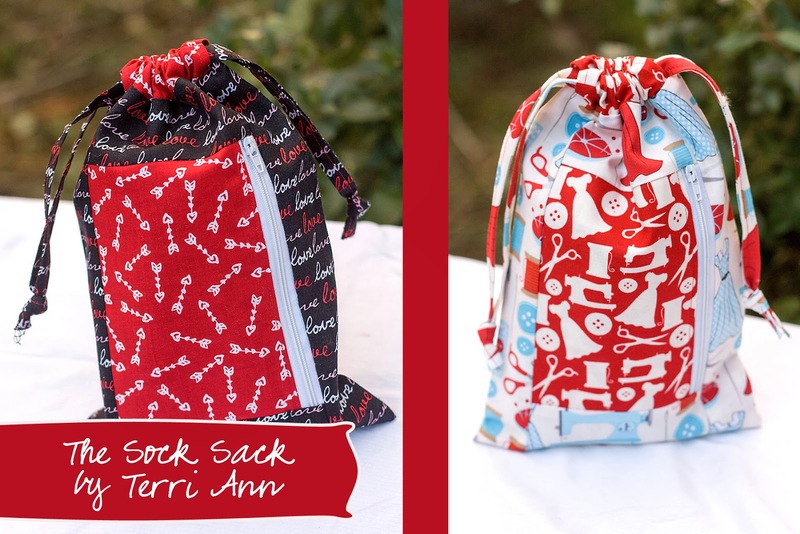 I hope you enjoy sewing these darling little pouches as much as I did! 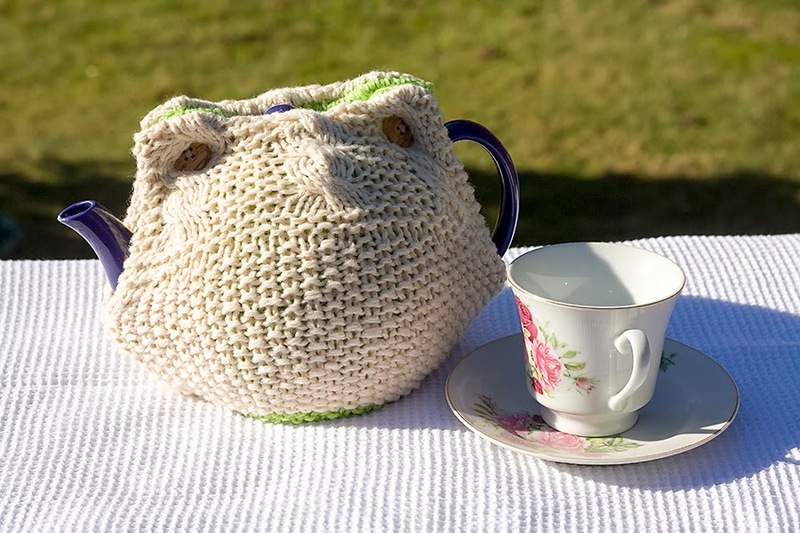 Stuff them full of your favorite tea bags and send them to a friend to enjoy!